7th Floor Clothing: Akron tested, LeBron approved. Akron is really feeling the Bern. And we’re not talking about sauerkraut balls. March 12, the Saturday before the 2016 Ohio primary election, Second Baptist Church on South Main Street held a rally for Senator Bernie Sanders’ Presidential Campaign. I expected to see a lot more people, especially considering Dr. Benjamin Jealous, former National President of the NAACP was supposed to be in attendance. The turnout was low—about 50 people, more than likely due to The Big Love Festival occurring during the same time—but the energy was high. While Dr. Jealous was unable to attend, the speakers were powerful, and included Kenyona Matthews, Christopher L. Henderson, Kyle Earley, and Dr. Robert Montgomery. They addressed issues such as student loan reform, institutionalized racism, family rights, universal health care and unemployment. I left feeling inspired enough to sign up for election day door-to-door canvassing to raise awareness about Senator Bernie Sanders. Then I logged onto Facebook on Sunday to find that SENATOR BERNIE SANDERS WOULD BE COMING TO AKRON! YES! 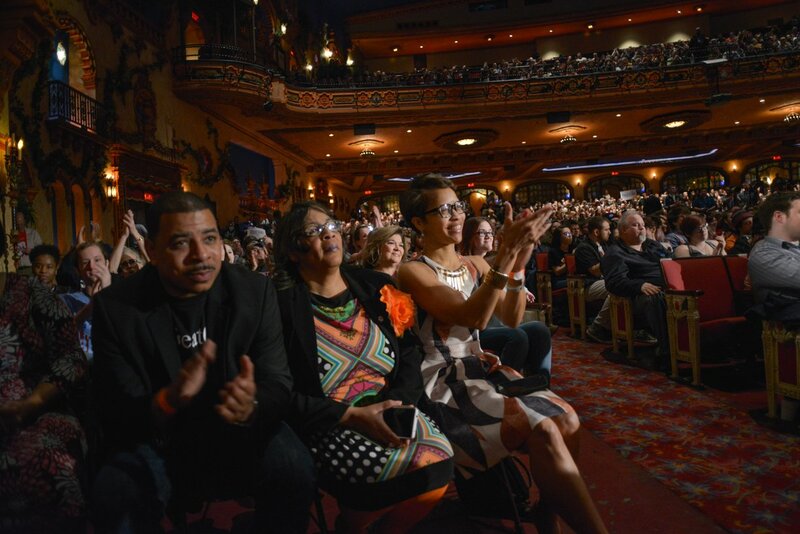 Even on such short notice, Senator Sanders packed the Akron Civic Theatre on Monday. 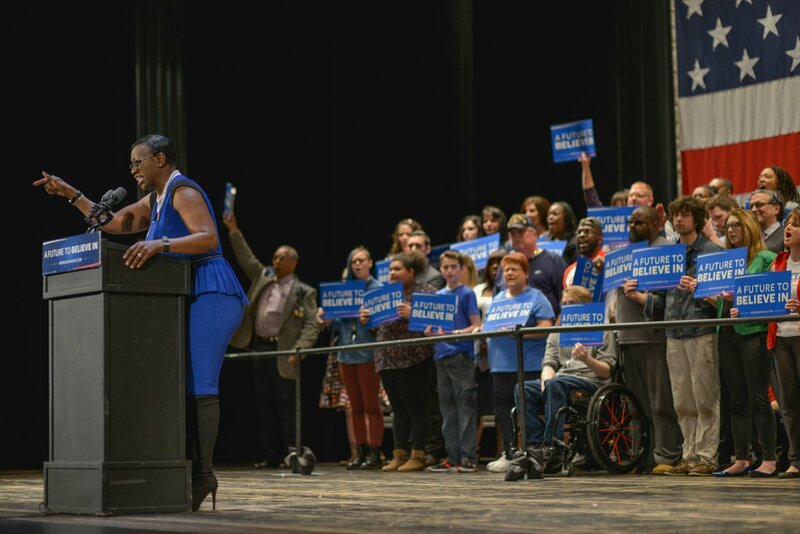 Councilwoman and Sanders delegate Tara Mosley-Samples, who organized Saturday’s rally, was largely responsible for bringing Senator Sanders to Akron. Mosley-Samples admitted that she had been a Clinton supporter until she took a step back and questioned why. Once she realized that she didn’t want to support a candidate in gender solidarity only, she started doing research. Mosley-Samples couldn’t support a candidate whose ideals were in the pockets of super PACs. “The more and more I researched [Sanders] and listened to him, the more I was like, ‘this guy right here, he’s the one.’” She has faith that not only will Sanders win Ohio, but that the young vote will carry him all the way through to November. Mosley-Samples said the strongest points of Sanders’ campaign platform for her are the work he’s doing with veterans. “He is the most progressive and active Senator when it comes to veterans’ rights and introducing legislation to help veterans out,” she said. She also appreciates his work toward making voting rights legal for all US citizens, “regardless of whether they’ve been in prison or not.” She said, “Vermont and Maine are the only two states in the whole United States [where] even if you’re incarcerated, you don’t lose your right to vote. You can vote from jail.” She mentioned that in Ohio, the problem is that probation officers are not telling returning citizens upon being released from prison that they can vote. Kenyona Matthews, aka “Sunny,” who spoke at Saturday’s rally, said she thinks Sanders’ biggest obstacle in this campaign is that “people don’t know him.” She mentioned how she was able to make her Clinton-supporting grandmother feel the Bern just by explaining his campaign platform and who he is. And join hands, they did. The love and collective consciousness in the room was astounding. Senator Nina Turner delivered a powerful introduction for Senator Sanders, and by the time he reached the stage, Akron was already feeling the love and feeling the Bern. The largely millennial crowd was thrilled to hear him address issues such as campaign finance reform, student loan forgiveness and affordable education for everyone, health care reform, and de-militarization of local police forces. He called on the Walden family, who owns Wal-Mart, to pay their employees a living wage so they don’t have to depend on welfare to survive. Senator Sanders said that, while he recognizes that most police officers are honest hardworking people, he will not stand for police brutality if he becomes President. Sanders promised to hold public officials, including police officers, accountable for any crime they commit. 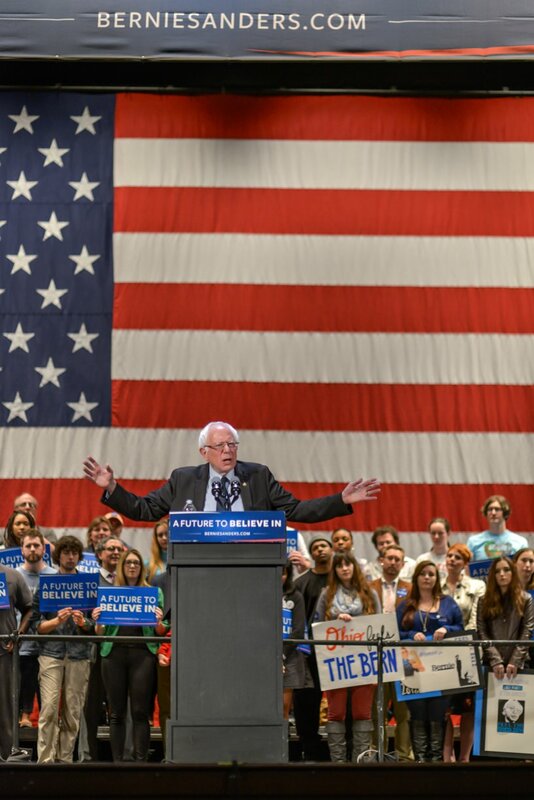 By far, the most powerful moment of the rally was when Sanders turned to the topic of love and unity. “The American people will defeat Donald Trump because they understand that bringing our people together—black, and white, and Latino, and Asian-American and Native American, gay, straight, men, women—bringing our people together always trumps dividing us up,” he said. The crowd went wild for that one. Senator Sanders left with a Big Love t-shirt gifted to him by the Big Love Organizers Beth Vild, Jessica Myers, Zach Freidhof and David Swirsky. Akron is all about the love.